My grandmother worked in a factory in Ybor when she was a teenager, pasting labels onto Hav-A-Tampa cigar boxes. That factory is now the ‘Box Factory Lofts’ a block of luxury condos. 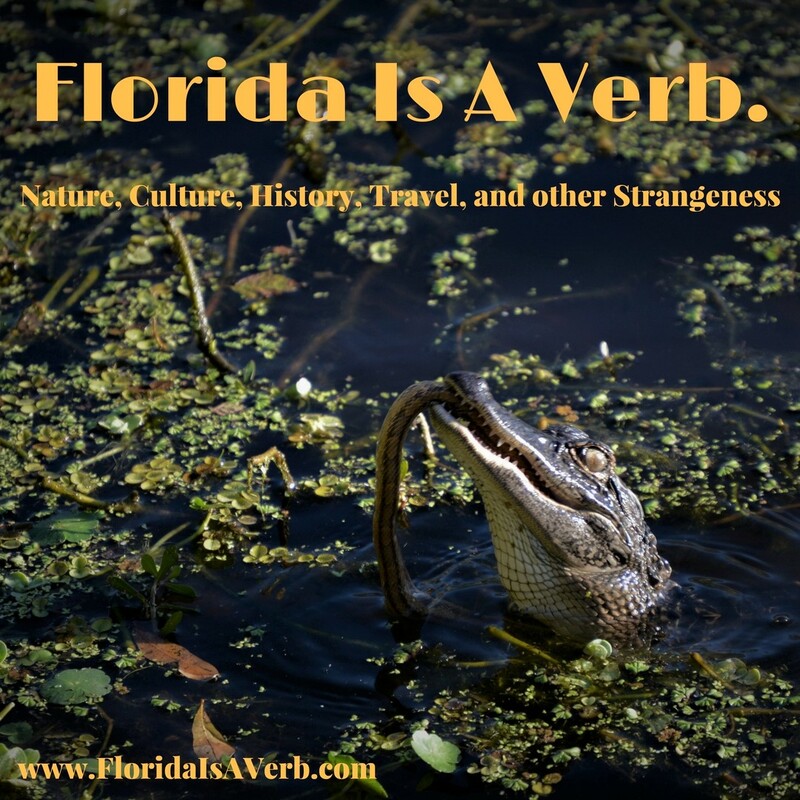 Growing up, I frequently heard some version of the Ybor City story many times- a company town founded around the cigar industry in the 1880’s, populated by continuous waves of immigrant workers, a center of organized crime, gambling, and illegal liquor. I’ve heard about the old bootlegger tunnels under the streets, about the gangsters, the ghosts, the underground Bolita lottery. Ybor always seemed a wildly romantic place, full of adventures and passion, a lost world that was part old movie; populated by gangsters, dusky-eyed Flamenco dancers, poets, and revolutionaries. And in a way, it was true, there are many stories of ghosts and gangsters and poets and moonshiners and more. And while all that dramatic Romantic glory is there, and is beautiful there’s another side to it that, in a way, is even more important— Ybor was a center of intense political discourse and dissent, a hub of working class activism shining through the depths of Gilded Age inequality, it was a place where strong Unions and Mutual Aid Societies helped recent immigrants establish middle-class lives in a time when ‘The Middle Class’ wasn’t even a part of the American vocabulary, and that, really, is why Ybor matters. From the Beginning, Don Vincente Martinez Ybor wanted to establish his company town as a kind of worker’s paradise. The experience of endless labor unrest and factory closures in Key West inspired him to create a place where there would be less conflict between workers and management, to this end, and to lure cigar workers from Key West and the Caribbean, Ybor established relatively high wages- this could be done since Henry Plant’s Florida railroads could get the product to market much cheaper and quicker than steamships from the Caribbean or the keys. Furthermore, Ybor built the ‘Casita’ houses in blocks of four or six- with a communal garden and shared washing area between them. These houses were specifically priced so that Ybor’s workers could afford to buy them and a system was established to allow workers to deduct house payments from their wages. The idea was that allowing workers to buy homes and become more stable and committed to the community would decrease the cost of employee turnover. And finally, Ybor was instrumental in establishing the social clubs and mutual aid societies- beginning with the Liga Patriotica, right next to the first permanent factory. These clubs began as places that held classes in the English language, money management, and other skills that would be useful for recent immigrants, but they grew to be able to provide benefits to workers, such as healthcare, childcare, retirement pensions, and more. 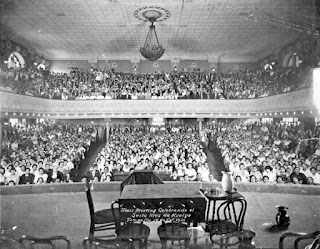 The lavish clubhouses built in Ybor’s Golden Age were also the center of social life for many families, and had communal kitchens, cafeterias, theaters, dance halls, and sometimes even swimming pools. 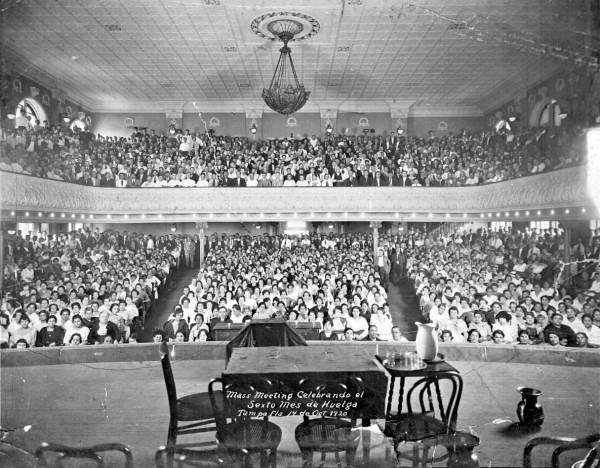 The clubs hosted traveling entertainers, produced plays, printed books and newspapers, and did much more. In one sense, the American Middle Class began in Ybor—(long before Henry Ford took the credit) And the goal of making a place where the mistakes of Key West would not be repeated was achieved- for a little while at least. After Don Vincente Ybor’s Death in the 1890’s, his factory was sold to the Havana America Corporation, and their attempts to change labor policies resulted in the first major strikes in Ybor City’s history. In 1899, workers at the V.M. Ybor factory went on strike when corporate bosses instituted new work regulations, specifically the use of scales to compare the weight of the raw tobacco workers were given to the weight of their finished cigars. The skilled cigar makers considered this an insult to their craft and to their honesty, and formed a Union based on Anarchist principles that they called Los Torcedores – literally ‘The Twisters.’ Torcedore is a term for a highly skilled cigar roller, but also, colloquially, for a someone who causes trouble. The Strike of The Scales lasted 98 days and paralyzed the industry. Eventually, workers won the removal of the scales, a small pay raise, and the right to elect their factory foremen. This victory emboldened Los Torcedores, and the group set about organizing with other workers in the city, forming a full movement known as La Resistencia. 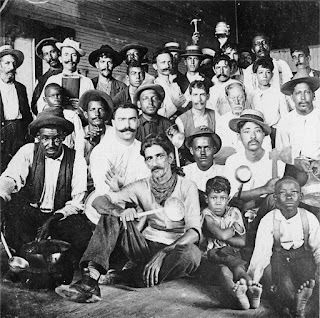 La Resistencia was a multi-industry Union meant, in their words, to “resist the exploitation of labor by capital,” it brought cigar workers together with dock workers, laundry workers, cooks, and more, building a movement of over 5000 people that also crossed lines of race, gender, and nationality- becoming, for a short time, one of the largest and most successful Anarchist movements in U.S. History. La Resistencia even began printing its own newspaper, La Federacion. In 1902, when a hurricane destroyed the bridge between Ybor and West Tampa, La Resistencia staged a general strike, and organized a march from Ybor to city hall to petition for the repair of the bridge. La Resistencia successfully applied labor power to political power and was able to pressure the city to quickly repair vital infrastructure through a combination of strikes and protests. Unfortunately, La Resistencia’s success also may have led directly to their downfall. Later in 1902, cigar manufacturers attempted to build new factories further outside of the city, specifically to escape the influence of the growing Anarchist movement. This led to yet another major strike, but this time things were different. Politicians and Manufacturers recruited vigilante “Citizens Committees” to break the strike. These vigilante groups waged all-out war on La Resistencia, patrolling Ybor, engaging in street fights with striking workers and attacking the communal kitchens that strikers established to feed themselves and their families. The offices of La Federacion were broken into in the middle of the night and the printing presses were destroyed, and thirteen Union leaders were kidnapped and forced onto a ship bound for Honduras. This ended the strike and effectively destroyed the La Resistencia movement. Ybor City, however, remained a center of working class activism until the global demand for cigars dropped dramatically during the Great Depression, and most of the tobacco industry was automated in the 1940’s. The history of Ybor’s Golden Age can be told punctuated with the strikes and protests that erupted every few years, and the ongoing battles between Ybor’s immigrant workers and vigilante strike breakers. A workers meeting at the Cuban Club during the Strike of 1920. Ybor matters because its history is the history of working people, of immigrant communities that found a way to not only survive, but to flourish, in a new country. It’s of people banding together to share resources, to allow for the care of themselves and their families, and of people standing up for their rights, in their workplaces and in their cities. Ybor’s history shows us what was achieved (if only for a little while) through collective action, mutual support, and solidarity.